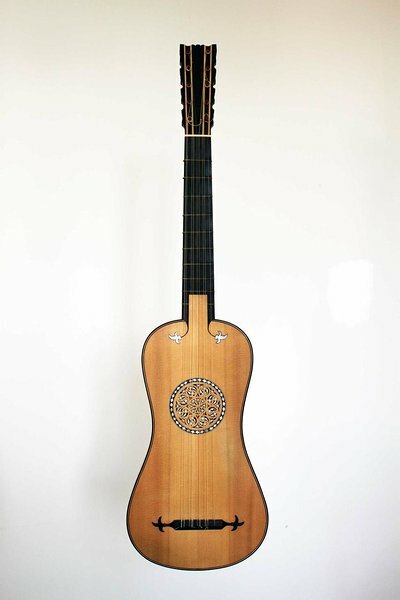 Baroque guitar 69 cm based on Stradivarius " Rawlins"
A light and resonant instrument with proper string length to have a sustained and singing "voice". 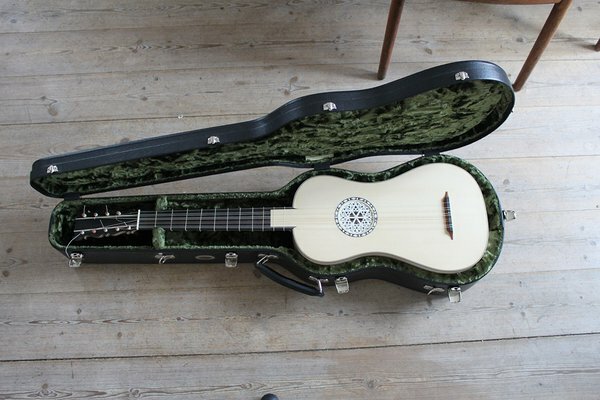 The sound is intimate, crisp and resonant in a way that suits the solo repertoire and it responds well to different tunings like those used by Guerau and Sanz. 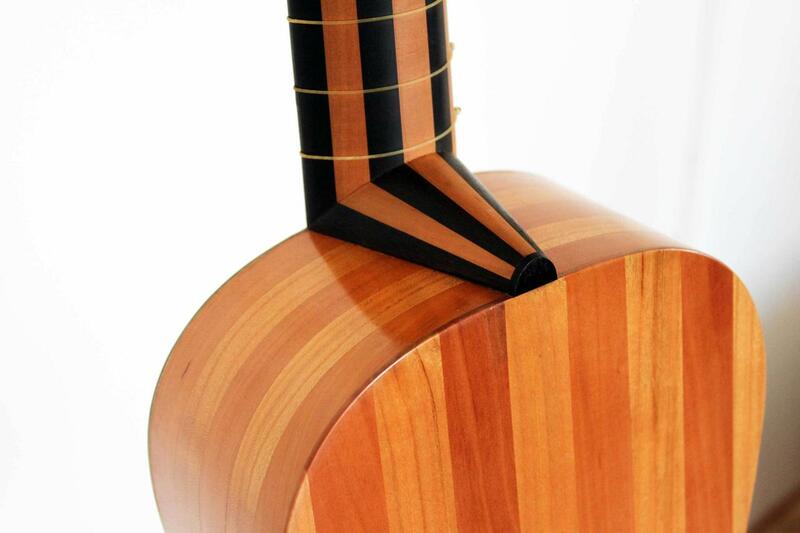 Neck: pear and ebony veneer on spruce core. 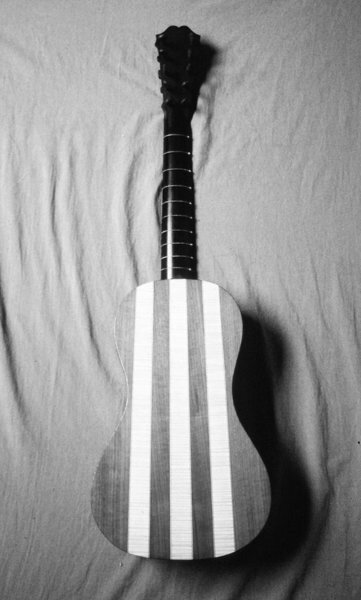 This instrument I have kept in my possession. I made it in 1993. 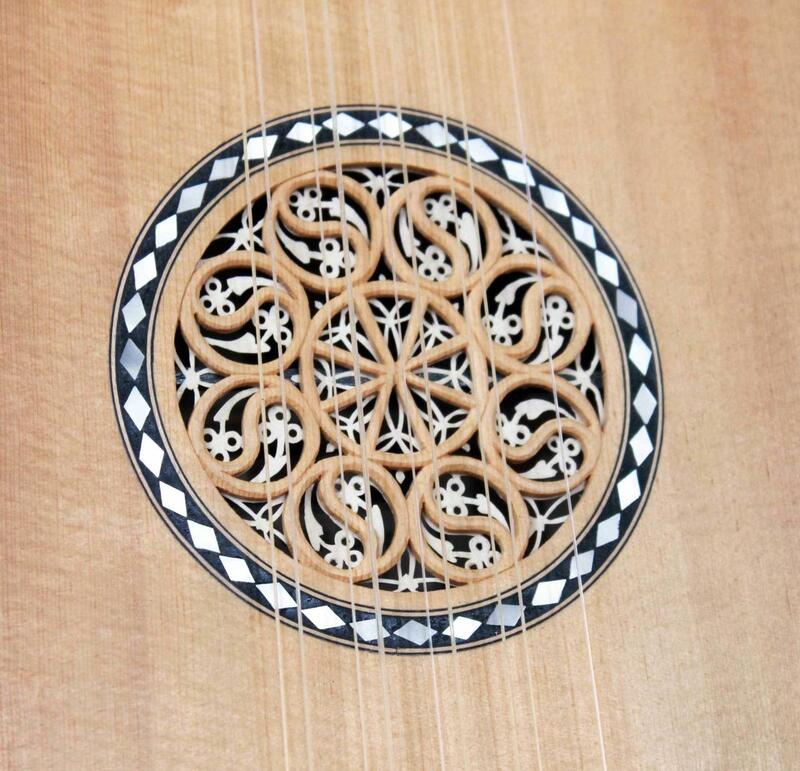 This Italian baroque guitar was based on a drawing in the beautiful book by Kevin Coates "Geometry, Proportion and the Art of Luterie" I asked the library at the University to buy the book. 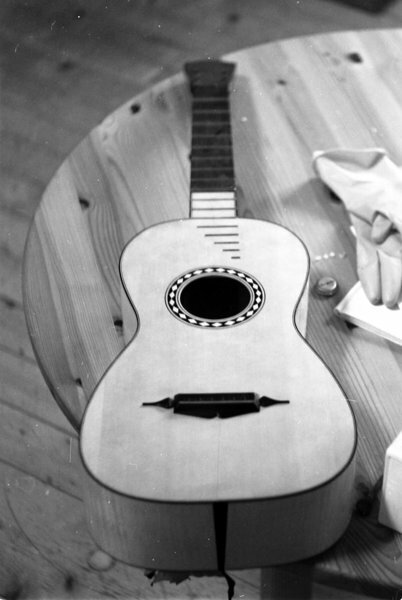 My instrument is a copy of the originals geometry and size. I chose other materials for the back and sides, retaining the beautiful slender style but with a more minimalistic detailing keeping only the most basic features in ebony and mother of pearl. 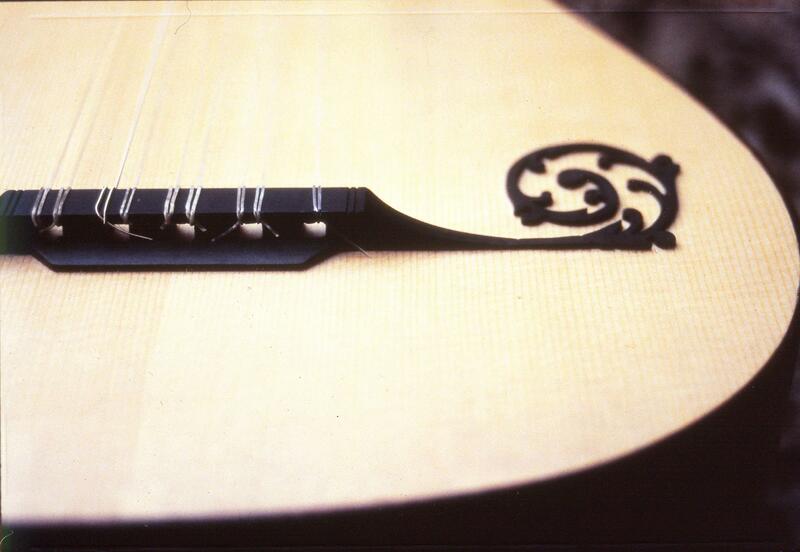 Baroque guitar 65 cm, anon, similar to Michel Lambert mid. 17th cent. 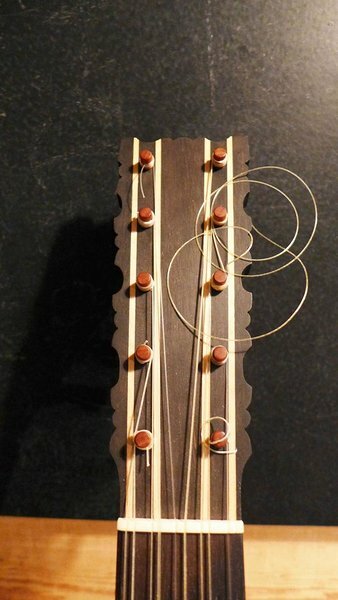 This instrument has a deep, resonant and light body made of walnut. 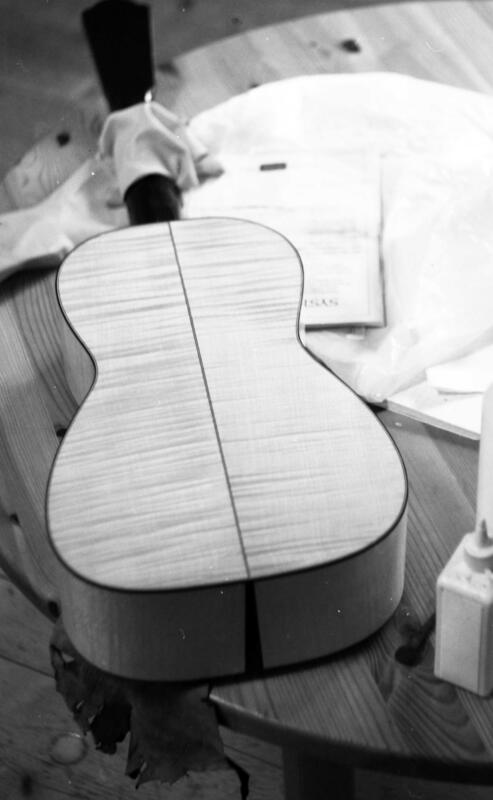 This, and the broad lower bout, makes for a sonorous and percussive sound well suited for continuo work. Press "AUDIO" button in main menu for a link or use Spotify. This guitar is a copy of the originals geometry and size. 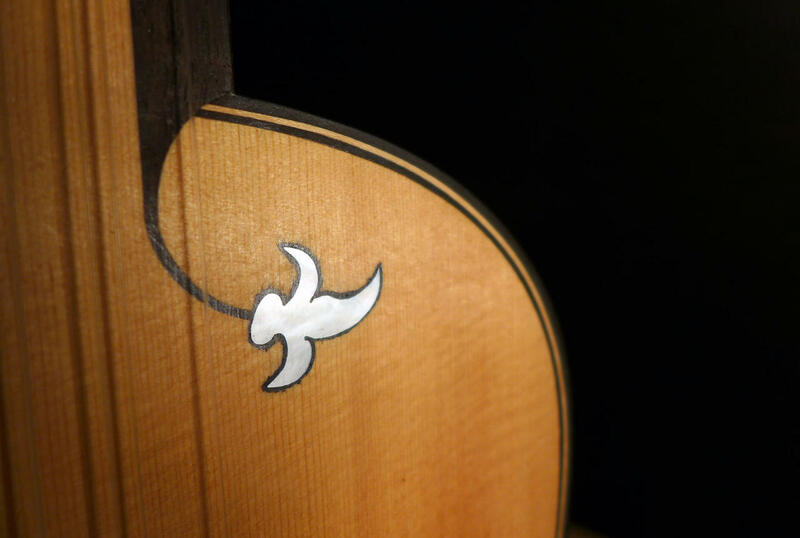 Compared to the original, I chose different materials for the body, retaining only a minimalist detailing and keeping the sound hole open as the original, although we may expect the rose is missing from the original instrument. 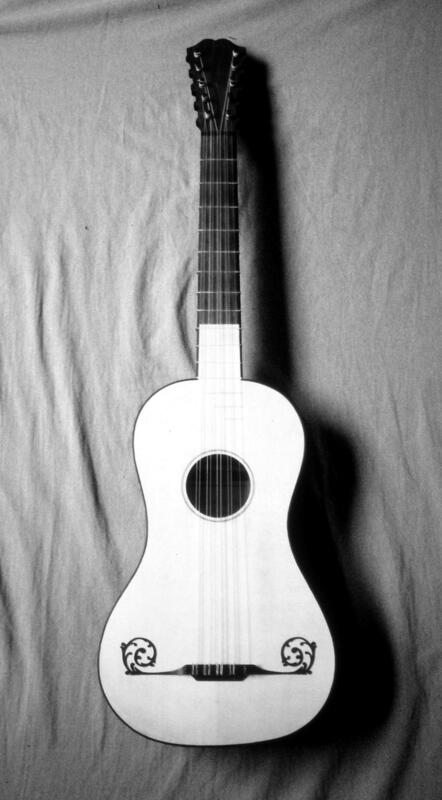 The guitar RMT 67/10 in the Ringve Museum collection may well have started its life with 6 double strings as we know from other instruments from this time and area. 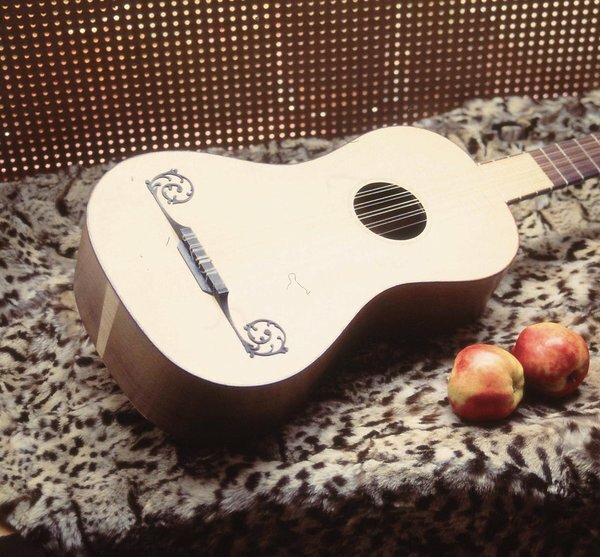 My instrument is based on the originals geometry and size but I made the fretboard flush with soundboard like other Pagez guitars and added a Panormo style bridge that one may question in hindsight. I made two guitars like this, one in rosewood and one in maple. Sold to Rolf Lislevand who played several concerts on it.